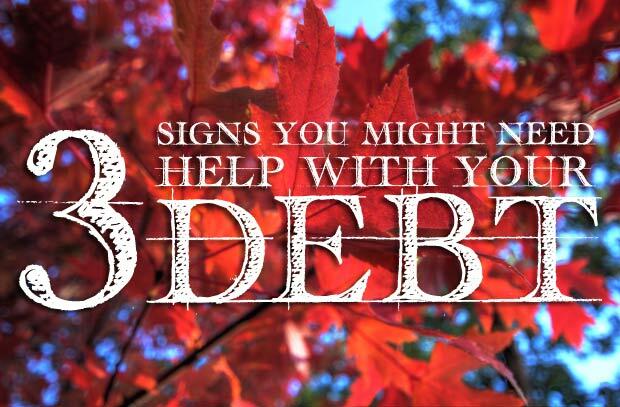 I agree that those are three signs that say you need help with money. Only paying the minimum helps the lender. I feel like most financial counselors are either for those with the ability to invest, or they are really credit counseling advisors who are out there to lower your payment, but seem to destroy your credit in the process. How do you recommend people find a good financial advisor? If your debt last for a couple of years unpaid then that means you are really struggling beating it. Seeking professional help and having self-discipline is one of the things that someone should do. Previous Post: What Do You Do With Your Savings? Next Post: Who Do You Trust For Money Advice?